With our cardiovascular training methods, Noble Life Sciences bring comprehensive expertise to the development of these tests. Our team understands the vast, unique challenges of these studies and provides in-depth testing to these interventional cardiology programs. 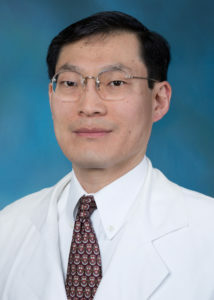 Dr. Kwon is the Chief of Cardiovascular Surgery and faculty member of Surgical Residency at Sinai Hospital in Baltimore, MD. His specialities include TAVR, transcatheter therapies for structural heart diseases, and endovascular therapies for thoracic and abdominal aortic diseases. 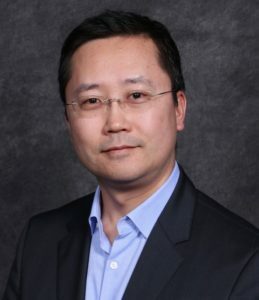 Prior to this role, Dr. Kwon was the Chief of Cardiothoracic and Endovascular Surgery at Havasu Regional Medical Center in Lake Havasu City, AZ. He is a Fellow of the American College of Surgeons and a member of the Society of Thoracic Surgeons. Dr. Kwon has published and lectured extensively on TAVR and other related subjects. Dr. Kwon completed his MD at the Albert Einstein College of Medicine in New York City, NY. Dr. Cho is a Cardiac Surgeon at Sinai Hospital in Baltimore, MD. His specialties include valve repair, aortic reconstruction, TAVR, and the Maze procedure. He completed his undergraduate studies at Harvard University and medical studies at Johns Hopkins University. He trained in General and Cardiacthoracic Surgery at the Johns Hopkins Hospital, where he spent two years in the cardiac surgery research laboratories conducting studies using large and small animal models of cardiovascular disease. In addition to nearly two dozen publications, Dr. Cho holds a patent for a cavo-atrial cannula for cardiopulmonary bypass.